Langford is the Spartans‘ co-captain and second-leading scorer, but has not played since late December because of an ankle injury. So instead of drawing lots of attention from media Thursday, the way All-America teammate Cassius Winston and emerging Spartans freshman Aaron Henry did, Langford only did a few interviews. 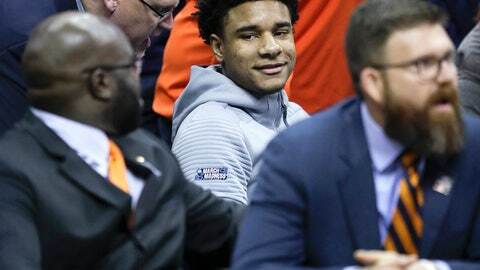 #DoItForChuma has become Auburn’s rally crying, both online and in the locker room. Wiley said he can pretty much get his teammates to do anything if it’s for Okeke, which explains the off-key singalong.